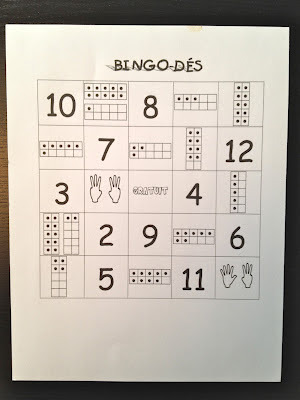 Check out this link for simple math games from grade 1-4 with clear instructions and printables ready to go. Manitoba is a wealth of resources for those of us teaching French Immersion further West! The game below can be used for bingo, cut up for memory, go fish, war. Merci to Madame MacDonald who introduced me to this great resource!